Shades of W.C. Fields, 'It's my little Chickadee'! Cloud nine? I wonder if that's one of those Nimble Columbus type clouds? How cute is this? 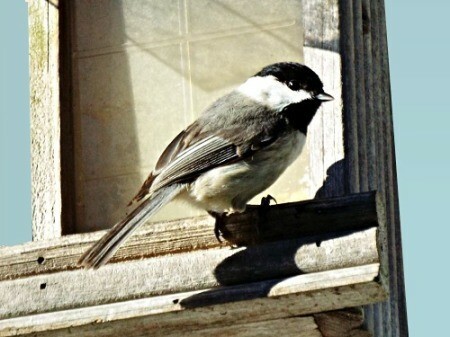 One of my teachers used to call me her little chickadee. I never even looked into what one looks like. This makes me happy. My daughter has always been "small" and she tends to think that most small things are made just for her to enjoy and Chickadees really fit that bill. We have quite a few families around us but out of 5 bird feeders, they seem to favor just one style. i certainly agree about how marvelous it would be to have one of these beautiful creatures favor us with a close-up visit. Doug, it's 2018. The Gracie Allen type humor isn't understood very well, these days.